The distinction between own and foreign culture plays a pivotal role in the making of religious, ethnic, and national identities. This was demonstrated by Bernd Roeck in his 2007 introduction to the forth volume in the series Cultural Exchange in Early Modern Europe. Forging European Identities, 1400-1700. Only the resurgence of a majority society and its demarcation against a minority society enables the forming of identity. But what happens in a multi-confessional and multi-ethnic society like the one that existed on the Iberian Peninsula until 1614? Can the foreign repertoire be distinguished clearly from the own at all, or has it not rather become part of a mutual cultural reality? The history of Spain is defined by phases of cultural opening and seclusion. Whereas Alfonso X and Pedro I furthered the integration of al-Andalus’ art and architecture into the national narrative through their pro-Islamic cultural policy, the staging of a unified Catholic culture became the central topic of painting, sculpture and architecture during the Counter-Reformation. Only from the 18th century, a re-valorisation of the Islamic heritage in al-Andalus took place. Its part in forming a Spanish national identity was subject to controversial discussion on the background of changing historic and political necessities in the 19th and 20th centuries. Simultaneously, architects of the time advertised the Moorish Revival and helped Ibero-Islamic architecture to gain global centre stage. The Alhambrismo not only became one of the most favoured interior styles of the 19th century, but also dominated the Great Exhibitions which regularly took place after 1851. Besides Spain, Prussia (1867), Brazil (1876), or Mexico (1884) presented themselves with a Neo-Moorish exhibition pavilion. This entry was posted in 2017, Call for Papers, Conference and tagged 2017, Al-Andalus, Berlin, Carl Justi-Vereinigung on January 21, 2017 by Clare Hills-Nova. 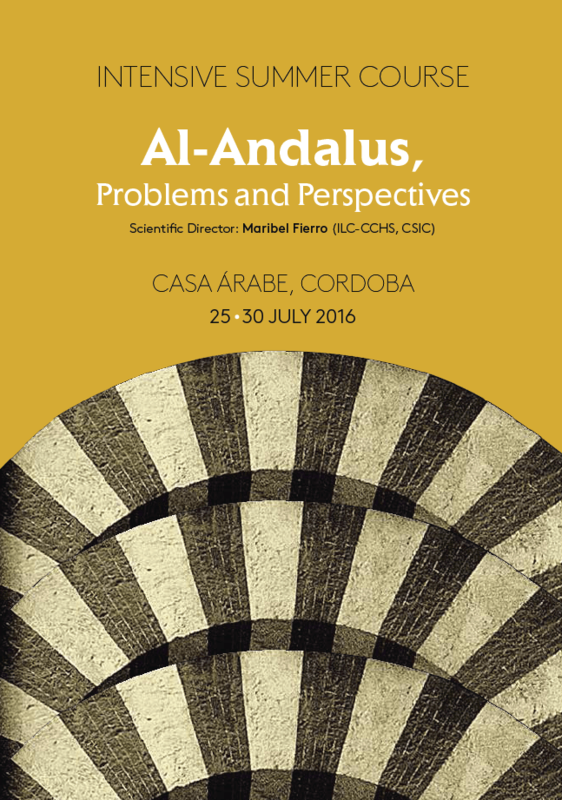 This Intensive Summer Course held in Casa Árabe Cordoba will introduce English speakers to the fascinating history of al-Andalus. Specialists from different Spanish academic institutions will guide a select group of students in a series of seminar-style intensive classes throughout a week-long course. Together we will explore the political, social and economic aspects of this history, examine the intellectual and artistic developments and achievements that the civilization of al-Andalus reached, and look at its various contemporary meanings and legacies. Students will be familiarized with various types of sources, textual and material remains, and the relevant scholarship in order to reach a better understanding of al-Andalus. The choice of the Casa Árabe in Cordoba as the venue for the course hardly needs any explanation. It is housed in the beautiful Casa Mudejar, a 14-16th century building whose restoration received the World Heritage City Award 2011 from the Spanish Ministry of Education, Culture and Sports. The Casa is located at a three-minute walk from the Mosque-Cathedral. The course is directed at university students and scholars who – regardless of their specialization – want to become familiar with the most relevant issues related to the history of al-Andalus. Taught in English, it aims at guiding the participants to the wide range of scholarly research on al-Andalus. Thirty students will be selected from among the applicants (for the application procedure see below and click here). Students are not required to have knowledge of Arabic or any other language except English; for those who are proficient in Arabic, guidance in the Arabic sources will be provided as a complement. A basic bibliography of studies in English will be provided once the selection of students has been made and registration has been finalized. The students selected are expected to become familiar with that bibliography before the beginning of the course. A more comprehensive bibliography, including the most relevant studies in a variety of languages, will be provided during the course. In each class unit (2 hours), the teachers will provide a brief outline of the topic dealt with and devote the rest of the class to reading texts (in English translation) illuminating some salient aspects of the respective topic. As the course is intensive and text-oriented, students are required to be present at each class. An attendance certificate will correspondingly be provided. For those interested in producing a research paper, assignments will be given and upon submission (within six months) an examination certificate can be obtained. The course will take place during the last week of July, from Monday 25 to Saturday 30, with a total of 30 hours. On Saturday morning, class will be held in the Umayyad palatine town of Madinat al-Zahra’. The course will be completed by two archeological workshops on Wednesday and Friday morning. This entry was posted in Spain and tagged Al-Andalus, Cordoba, Spain on March 16, 2016 by Clare Hills-Nova.